Kenyan pilots and aviation operators are blaming Kenya Civil Aviation Authority (KCAA) for the ills which have bedevilled the sector. According to operators and pilots under KALPA, KCAA has turned into a bribery house where any rogue student, pilot and operators can do anything as long as he/she pays a required bribe to the Kenya Civil Aviation Authority officials. The sector which is most riddled with bribery and blackmail is the Licensing department where qualified and unqualified pilots are told to pay KCAA officials an extra Ksh 300,000 or more to have their licensing approved. Some pilots who doesn’t have the necessary hours and skills to operate an aeroplane are charged as much as Ksh 1million per license. The bribery ring at KCAA is headed by head of licensing Naomi Njambi, James Gikandi and Joseph Kang’ethe. Students and operators who don’t pay the required bribes are not qualified to fly while operators who are not able to grease the palms of the officials are also subjected to all manner of conditions to be allowed to operate in the country. While the exams for Commercial Pilot License (CPL) and Air Transport Pilot License (ATPL) students cost an average of Ksh 15,000 to Ksh 20,000, the bribery which is rampant in the sector makes it expensive for genuine students and cheap for moneyed and corrupt operators. Foreigners who want to convert their pilots to be able to operate in Kenya are also forced to pay bribes of between Ksh 500,000 and Ksh 1 million to get approved by the trio who are the signatories. 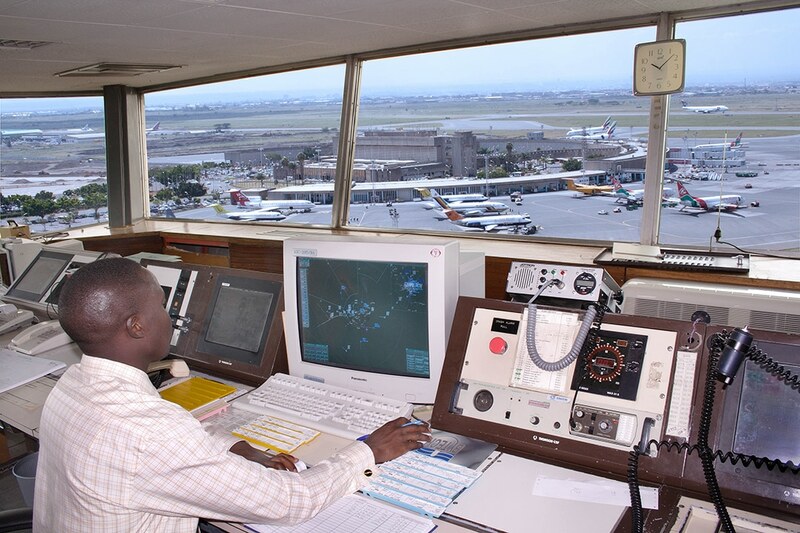 Coupled with the above, it has also baffled operators at the Kenyan airports that some Kenya Civil Aviation Authority officials like James Muchemi who is in the licensing department, are also practising as pilots for operators like Skyward. Skyward Aviation and other few rogue operators flying to Northern Kenya and Somalia are blamed for all manner of illegal activities at the airports including human trafficking, not maintaining their planes as well as buying hours for their pilots so as to forge their experience. The forgery is done in conjunction with flying schools like Skylink Aviation. Skyward, Jetways and Silverstone Aviation companies have been accused of running a human trafficking ring where Ethiopians and Somalis are sneaked into the country, bypassing Customs and Airport Security. The passengers and goods sneaked in are offloaded inside the hangar and passed through the hangar doors which doesn’t have security controls. Efforts to get clarifications from the KCAA top management proved futile. Operators have indicated that KCAA director General is deep in the dirty deals making it hard to streamline operations and stop the rogue operators. Corruption at KCAA and illegal operators at Wilson Airport has made it hard for the USA authorities to give the final approval for Kenya Airways to have direct flights to USA. US’s Transportation Security Administration (TSA) and Federal Aviation Authority (FAA) have reportedly refused to allow JKIA to be approved as a last port of departure because of the rampant corruption at KCAA and the manny illegal operations happening at Wilson Airport. Officials from FAA and TSA were in the country a week ago to inspect things but they were reportedly not impressed.